In an exclusive interview, GPC Scotland chairman Dr Dean Marshall tells Susie Sell that England's wrecking ball-approach to NHS reform is wrong. While English GPs grapple with the Health Bill, Scottish GP leaders face a very different challenge: a 'policy vacuum' north of the border. Ahead of the Scottish general election in May, Dr Dean Marshall says it is ‘slightly worrying’ that no political party has set out a clear vision for general practice in Scotland. 'The NHS and general practice is high on the agenda as a topic for discussion,' he says. 'But we don’t seem to get a clear outcome following those discussions. It’s unlikely that Dr Marshall wants to see a carbon copy of English health secretary Andrew Lansley leading the way in Scotland. He says there is 'very little' of the Health Bill in England he supports, particularly when it comes to the drive to introduce competition and create a market. 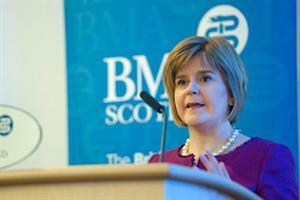 He is also clear that a wholesale reorganisation of the NHS in Scotland is 'the last thing we need'. 'Any reorganisation takes several years, and we don’t have the time to do that without clear evidence that it will make things better,’ he says. As he told GPs at the Scottish conference of LMCs this week, the reforms in Eng-land highlight that GPs in some parts of the UK face a 'worse situation than a policy vacuum'. 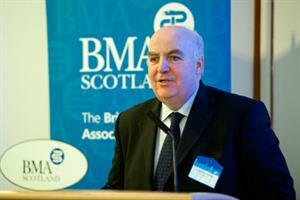 However, there is one aspect of the English reforms that Scottish GPs are looking at closely: GP commissioning. If this is to happen, Dr Marshall says, it would be a model appropriate for Scotland, not a straight import of the English blueprint. 'We are keen to have a discussion with politicians about how clinicians, particularly doctors across secondary and primary care, can get together and make decisions about the way the NHS is delivered,’ he says. In an effort to carve out a distinction between the two approaches, Dr Marshall says the term ‘GP commissioning’ should not be used in Scotland because it is ‘so wedded to the English health service’. Scotland’s version of GP commissioning would be integrated into existing structures, negating the need for a widespread reorganisation, he says. GPs could have more say in the design of services locally by strengthening their role in existing Community Health Partnerships, Dr Marshall adds. He says GPs' influence via these organisations has been limited to date because they include opticians, pharmacists, dentists and other providers. 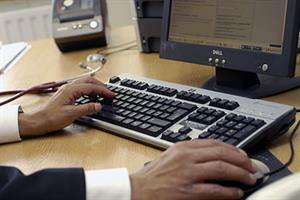 GPs felt their voice was lost, and many became disengaged as a result, he says. 'What we need is a signal from politicians that GPs should be leading these organisations, with secondary care engaged as well, which would go a long way in starting the process,’ he says. For Dr Marshall, this is as simple as putting out a new set of guidance stipulating an increased role for GPs locally on the CHPs. Dr Marshall says if Scotland goes ahead with the plans, it will be ‘interesting’ to see how it compares to the model adopted in England. GPs and MPs in England may even learn from the experience in Scotland, he says. Only time will show which of the models potentially running alongside each other will come out on top. But if Scotland manages to achieve the same objectives without knocking the NHS down and rebuilding it, it may provide a lesson English MPs find difficult to swallow.